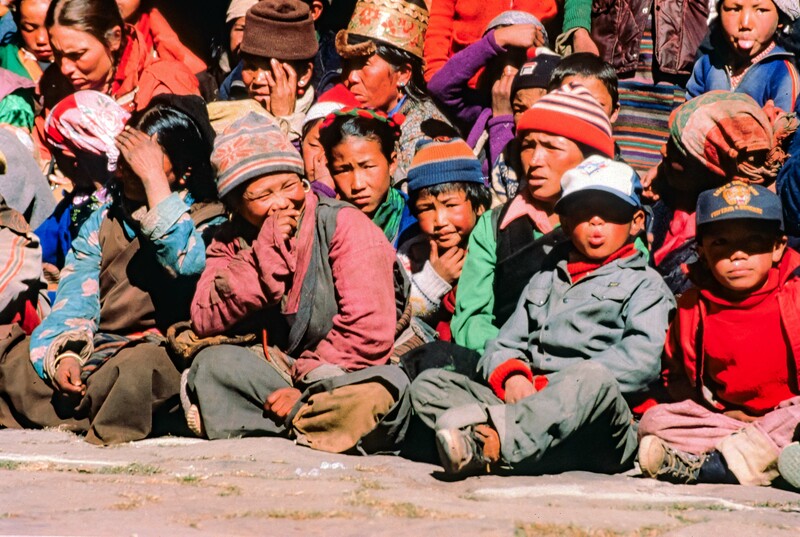 Nepal, Tengboche Monastery, 1983 - This photograph was taken above Tengboche monastery in the fall of 1983 during the Mani Rimdu festival. One night, I could not fall asleep in my bed within the monastery. I looked out the paned windows at the moon. Inspired, I put on my thin down jacket and climbed to this point above the monastery. The vast Solo Khumbu valley glowed in the moonlight, with its cirque of fantastic mountains: Everest, Ama Dablam, Lhotse, Kantega. Just then, in the middle of the night, the monks blew their long horns, sending a bellowing echo into the infinite night. It was a moment to remember, a moment when the consciousness was opened and the world galvanized into a single, pure and beautiful godhead.